At the Chelmsford Marathon on Sunday, both Christine Costiff and Gill O’Connor achieved their goal of going under 4 hours and qualifying for a good for age place at the London Marathon. 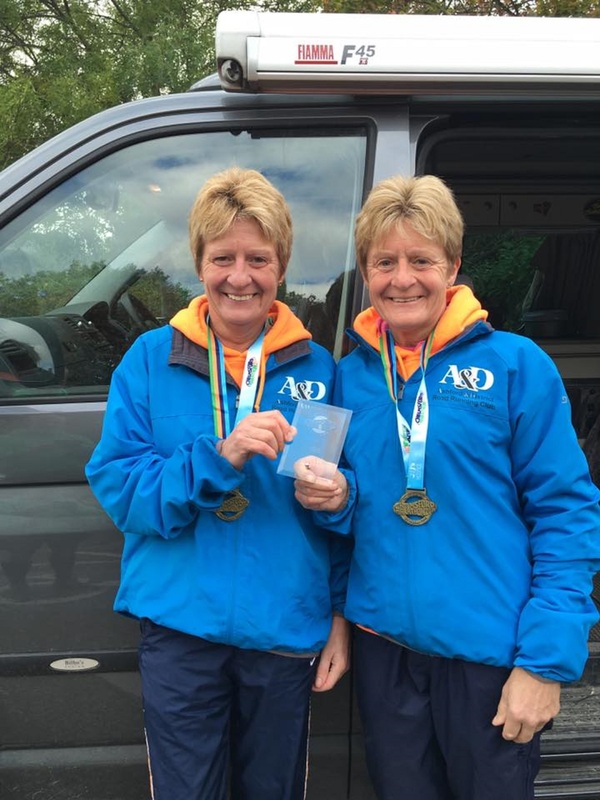 With a large marathon field of over 600 runners, Christine and Gill both ran steady races before a quicker second half which brought them home together in a time of 3:45:04, and joint winners of their age category in the race. At the latest Ashford parkrun, Paul Moses was first home for the club on Saturday, finishing 7th and 1st in his age category in 19:16, followed home by Julius Sampson 9th in 19:31, Keith Haynes 19th and 4th in his age category in 20:23, Pat Butler 23rd and 1st in his age category in 20:47 and Shane Dragwidge ran a pb in 21:21. Rob Carpenter finished in 21:53, Dave Hunt in 22:58, Mark Attenborough in 23:39, William Whittington ran a pb in 24:36, Simon Jackson in 25:59, Andrew Smith ran a pb in 26:00. Dean Bracken came home in 27:08, Terry Sellen in 27:51, Steve Hickman in 28:39, Julie Foster in 29:16, and Ann Fidge was 2nd in her age category in 29:21.